Many of our members find the courses at webCampus as a way to develop their professional skills and add to their resume. For this reason, we have designed five certificate programs to assist our members to reach their potential. There are no costs associated with these UFCW recognized certificates. Click on the program’s name below to see the description and components of such program. Click here for a short introductory video. This program, offered by UFCW Canada’s webCampus, prepares students to better understand Human Rights laws as they relate to minority and equity-seeking groups. Participants will be introduced to the challenges facing diverse communities such as LGBTQ, Migrant workers and Aboriginal People. They will also learn ways to advocate within government and society for disadvantaged or discriminated peoples. Component 1 – The Academic Component focuses on increasing comprehension of equity-seeking groups, exploring the legal foundation for claims, uncovering ways to get politically involved and the workplace application of human rights. *Once you have completed the Academic Component, you can apply for your Research Component. Please e-mail us at webCampusadmin@ufcw.ca to indicate your interest in pursuing this Certificate. Component 2 – The Research Componentbuilds on webCampus courses and asks participants to demonstrate their knowledge. The end product will be a Final Report which identifies the skills you have learned and presents your research in the Human Rights field with a union focus. Click here for a sample outline. Please note: UFCW recognizes the skills gained through these programs. Some colleges and universities across Canada have a PLAR (prior learning assessment and recognition) program that people may apply for to find out whether a particular college or university will offer equivalencies for these courses. Please use the checklist provided below, to ensure that you have met all the requirements to apply for the Human Rights Advocate Certificate. This program is evaluated periodically and changes may occur. It is important to e-mail webCampusadmin@ufcw.ca to indicate that you are interested in taking this certificate program and to ensure that you are notified if changes occur to this program. If you have any questions please feel free to send us an e-mail at webCampusadmin@ufcw.ca or call toll-free: 1-866-865-0202. 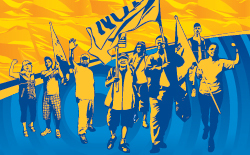 This program, offered by UFCW Canada’s webCampus, provides students with the tools needed to better understand the role and rights of being a labour activist. The courses examine the skills required to be an effective steward, and provide information that every member can use to become active in their workplace. Component 1 – The Academic Component offers courses that provide participants with a wide range of knowledge that an effective activist can utilize in the workplace. Component 2 – The Research Component builds on webCampus courses and asks participants to demonstrate their knowledge. The end product will be a Final Research Project that identifies the skills you have learned and presents your research in the Labour Rights field. Click here for a sample outline. Please use the checklist provided below, to ensure that you have met all the requirements to apply for the Labour Activist Certificate. It is important to e-mail webCampusadmin@ufcw.ca to indicate that you are interested in taking this certificate program and to ensure that you are notified of any changes that may occur to this program. If you have any questions, please feel free to send us an e-mail at webCampusadmin@ufcw.ca or call toll-free at 1-866-865-0202. 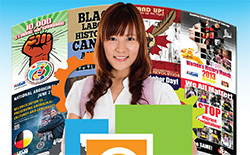 This program, offered by UFCW Canada’s webCampus, trains students in multimedia, web design and communication skills. With these skills, participants may open doors to various roles in marketing and communication within the union, business and non-profit sectors. 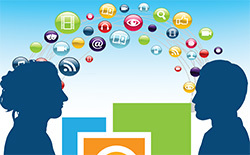 Participants may also use these courses as a springboard to further education as freelance communication professionals. Component 1 – The Academic Component includes courses in computer training, media literacy, Microsoft Word & Excel, along with other offerings that will help to enhance your media and communication skills. Component 2 – The Research Component builds on webCampus courses and requires the participants to demonstrate their knowledge. The end product will be a Final Report which identifies the skills you have learned and presents your research in the Media & Communication field. Click here for a sample outline. Please use the checklist provided below, to ensure that you have met all the requirements to apply for the Media & Communication Specialist Certificate. Important: As of January 1, 2018, the MS Office 2007 courses have been removed from this program. However, these courses will be recognized as part of this certificate program for those participants who successfully finished them prior to December 31, 2017. 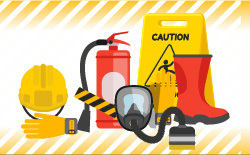 This program, offered by UFCW Canada’s webCampus, provides students with the knowledge and power to ensure their Health and Safety Rights are protected. Educated workers who know these rights would positively influence not only their own, but also their coworkers’ lives for the better. Component 1 – The Academic Component (minimum of 168 hours of courses) includes 132 hours of mandatory courses and 36 hours of courses chosen from the Sector Two Foundation & Workplace Essentials. Component 2 – The Research Component is dedicated to developing your skills and applying your knowledge for the benefit and general well-being of the Health & Safety community. The end product will be a Final Research Project that identifies the skills that you have learned and presents your research in the Occupational Health & Safety field. Click here for a sample outline. Please use the checklist provided below, to ensure that you have met all the requirements to apply for the Workplace Rights Occupational Health & Safety Certificate. Keep in mind that a course may appear on more than one list, but it can only be taken once for credit toward the certificate. It is important to e-mail webCampusadmin@ufcw.ca to indicate that you are interested in taking this certificate program and to ensure that you are notified of any changes that may occur to the program. 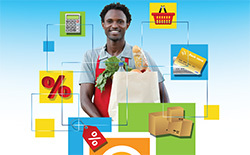 This program, offered by UFCW Canada’s webCampus, provides exposure to and involvement with the practical aspects of the retail sector. In addition, students are asked to focus on specific areas within Retail that will provide a more comprehensive understanding of department-specific topics. Component 1 – The Academic Component recognizes the importance of both health and technical sections to better understand the various structures within the retail sector. Component 2 – The Research Component builds on webCampus courses and requires the participants to demonstrate their knowledge. The end product will be a Final Report which identifies the skills you have learned and presents your research in the Retail Sector. Click here for a sample outline. Please use the checklist provided below, to ensure that you have met all the requirements to apply for the Retail Sector Specialist Certificate.